Dear reader, thank you for visiting our website. 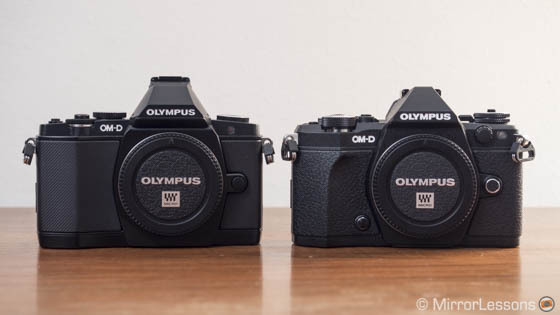 The article you are looking for – Olympus OM-D E-M1 vs. OM-D E-M5 Mark II – has been transferred to our new comparison website. We apologize for the inconvenience. I haven’t tried the Leica T in video mode yet. Will do! The video thing is interesting because I always used to get these ‘warping’ type effects from IBIS cameras, particularly Olympus, as I always edit my test videos in iMovie which has software stabilisation as an option. Since the E-M5 II has it built in it’s interesting that you got it within the camera. It’s certainly something I’ve seen a lot of. I don’t know if you’ve tried the Leica T for video yet, which has software stabilisation in camera and no lens or body IS. For static shooting when edited using iMovie and more software stabilisation I’m getting some amazingly smooth footage. Back to the Olympus – have you seen this – https://johnbrawley.wordpress.com/2015/02/01/olympus-comes-in-from-the-filmmaking-wilderness/ Some impressive results using a gimbal. My Olympus E-M5 II arrives tomorrow so I’ll be seeing what I can get out of it as well, though with somewhat less ambitious objectives. Thanks for the response. I am considering upgrading from my PEN because I am interested lately in wildlife. I was hoping that the MK2 would do the job. I like the size and the new features but it would be a bad decision if the AF isn’t up to it. I haven’t tried the firmware 3.0 with 4/3 lenses but it is good to hear that it also improves C-AF with those lenses. I used the camera for more than three weeks so I was able to test it in various conditions (good light, low light, etc) as many of the pictures here or in the review can testify. The only aspect I couldn’t test in-depth was the continuous AF and tracking but I did some basic test to see how it performs and it is not that different from the E-M5. I had good results with the original E-M5 and I the E-m5 mark II. The E-M1 is just more reliable if you need AF-C every day. Was the Mk2 tested for the AF performance in real world conditions or was it surmised from the specs and because it doesn’t have PDAF.I really don’t care if it fas a slower AF frame rate as long as it’s accurate. I am considering getting one if the two cameras and I do shoot BIF sometimes. The sensor movements during an HRS (highres) exposure is first a 4 shots sequence w/ a whole pixel offset, thereafter another 4 shots sequence w/ half a pixel offset. The firmware 3.0 version in the E-M1 improves C-AF even more with native 4/3 lenses than with m4/3 ones, as it is mainly the PDAF algorithms that are improved. Besides that, a great comparison! Do you want to use flash with high shutter speeds specifically or you just want to use a fast aperture like 1.4 in bright sunlight for example? because with the latter you can use the electronic shutter (E-M5 mark II only). Thank you Mathieu. If I purchase a different external flash, can it be synched at a higher shutter speed? Any recommendations? The only work arounds I can think of are: decrease exposure, using smaller aperture (which is not what I want to shoot wide open) and putting an ND filter (like 1.8x). Well unless you really really need some of the E-M5 mark II features, I wouldn’t switch. No you can’t sync it at a higher speed than 1/250. Great review! Can the provided external flash be synched at a higher shutter speeds (I know it synchs at 1/250s per spec but if I want to take a picture in the bright day light with the prime, would flash synch say at 1/1000s with the flash it comes with)? Yes, moiré is present unfortunately. The real improvement that would buy me is the full electronic (= SILENT) shutter. Let’s wait to see if it will be implemented in a possible EM1 mkII !!! There is really bad moire in the (very good) stabilse video (around the 10 min mark). The new FL-LM3 flash only works on the new OM-D E-M5mkII and not on the other OM-D bodies. It will not be sold separetedly, only together with the new camera body. In due time it will be available as a replecement flash in the event your old one is beyond repair. Now I’ve got it, thanks! The second statement is referring to Four Thirds lenses. In S-AF, they are both very fast with micro four thirds lenses, but with four thirds lenses the E-M1 has a clear advantage because of the phase detection AF points. Hi Mathieu. I haven’t heard of problems with long exposures on PDAF. What happens? I wonder if it affects my a6000 too but I don’t know how to check. 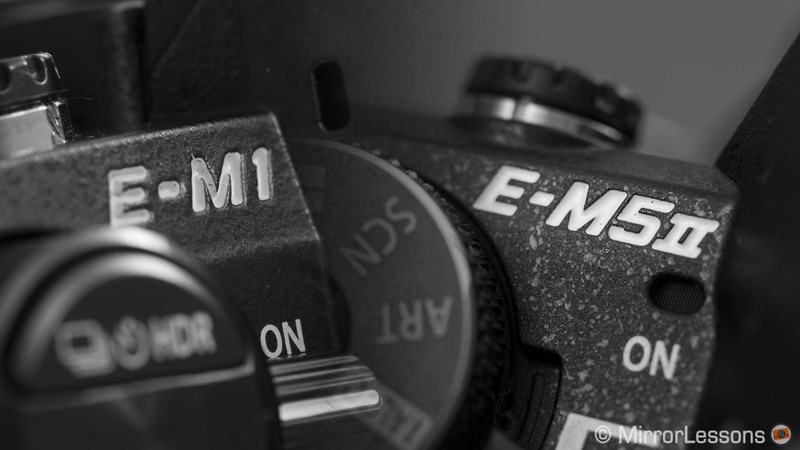 I’m going for the E-M5II as i don’t shoot sports but i think i’ll take advantage of the Hi Res mode when indoors shooting detail textures, and macro still life, and the occasional landscape which will be testing a photographer’s photo brain as you’re very limited in its usage, but it’ll make you a better photographer for it i believe. So which statement is true for S-AF, are they the same or not? I don’t know if it is exactly the same from a strict hardware point of view but the IQ is the same: same resolution, same sensitivity, same DR. The only difference is that the E-M1’s sensor has phase detection points. That causes some problems with long exposures and NR set to off but it’s not relevant anymore since the E-M1 has live composite now. Do they really use the same sensor?